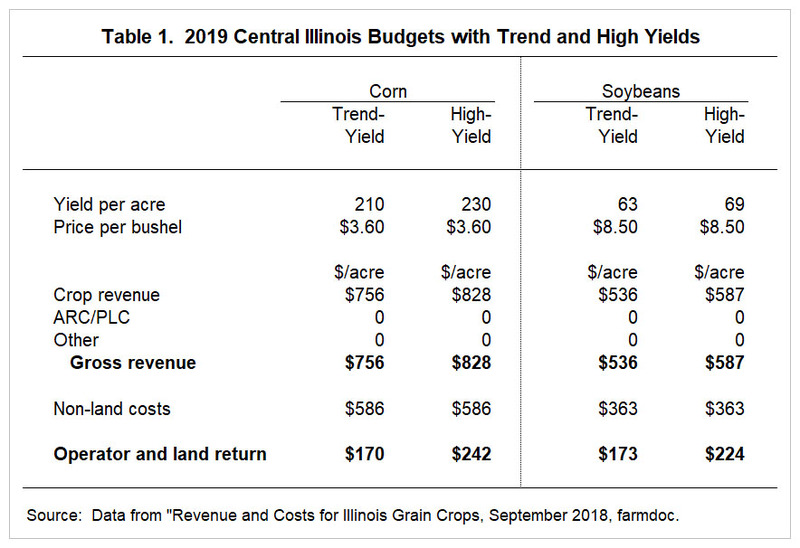 The 2019 Crop Budgets published by the University of Illinois use trend yields in 2019 projections (see Revenue and Costs for Illinois Grain Crops). 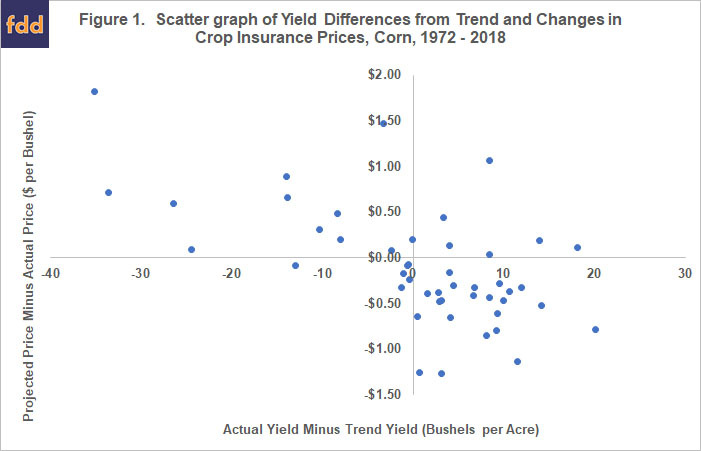 For high-productivity farmland in central Illinois, trend yields are 210 bushels per acre for corn and 63 bushels per acre for soybeans (see Table 1). Between 2013 and 2018, Illinois yields averaged 20 bushels above trend for corn (farmdoc daily, January 3, 2019) and 6.5 bushels above trend for soybeans (farmdoc daily, December 11, 2018).